Times have changed. Idealized, hokey but self-aware World War 2 imagery has been replaced with high-tech suspense, political allegories, and twists and turns that’ll alter how viewers see the Marvel Cinematic Universe. If you were expecting more of Captain America: The First Avenger, then prepare to be shocked. Iron Man may have been the start of the MCU, and some may see The Avengers as the high point, but Captain America: The Winter Soldier is the movie that changes everything. 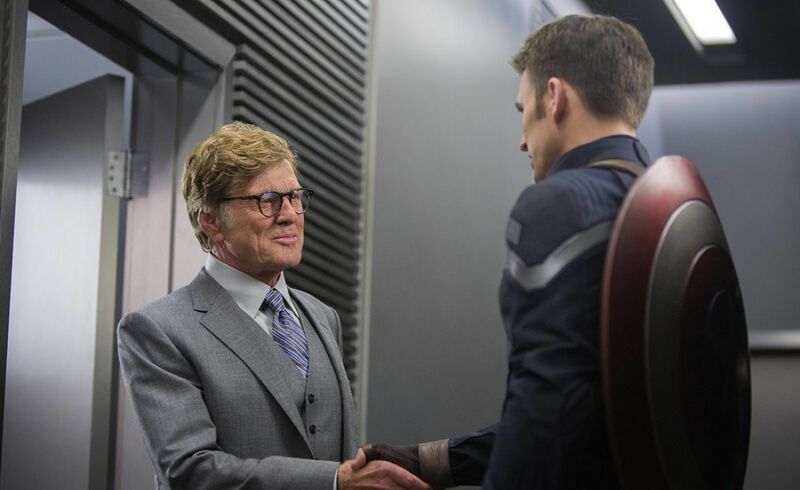 Though this movie is based on the Winter Soldier story arc of the Captain America comics, the scope of the original tale is broadened, borrowing a story concept from another successful comic. While I can’t name that other property, I will say that screenwriters Christopher Markus and Stephen McFeely did a fantastic job utilizing the concept to adapt the story for MCU audiences. The double-edged sword of this is that some may find this new subplot even more interesting than the main plot itself because of its paranoia-inducing implications. 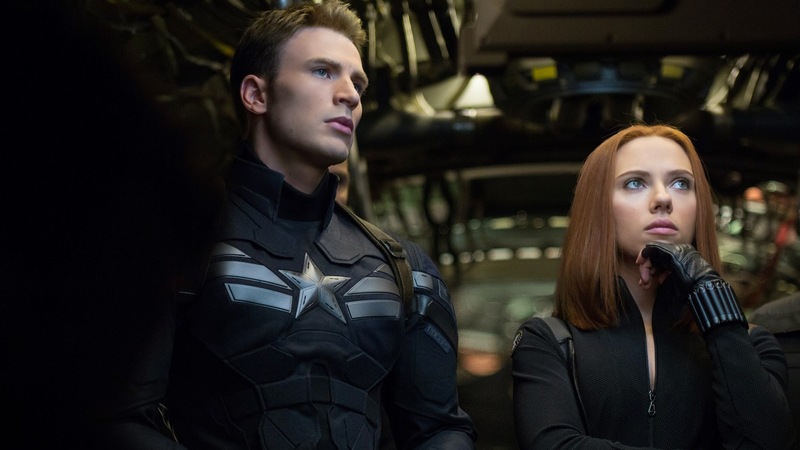 The changes in The Winter Soldier turn what was a Captain America-centered universe into one where supporting characters like Black Widow and Nick Fury are given more time to develop. And Scarlett Johansson and Samuel L. Jackson are used well, especially when it comes to showing some of the immediate ramifications Captain America’s exploits. They bring home the fact that what’s happened will change the entire world in ways they can’t even imagine. 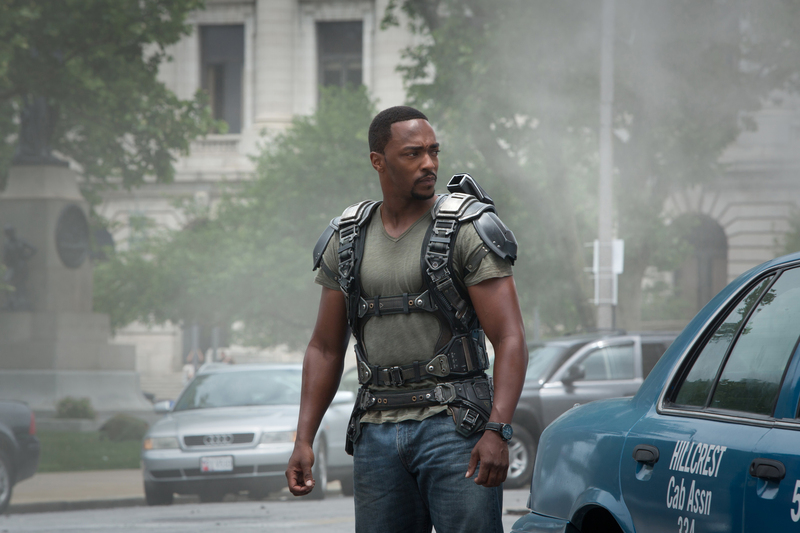 Those two characters and Anthony Mackie’s Falcon all offer the “modern” perspective that Captain America lacks. And that contrast is also where much of the humor shines through. The Russo brothers’ comedic roots can be seen through their impeccable timing, as is expected, but also when the comedy stops. In this way, The Winter Soldier eschews the tonal issues of the other Marvel movies. Falcon brings things further down to earth, despite his aerial gear. He is able to get to the heart of Steve’s problems more than any other character in the movie. However, I didn’t feel Mackie was given enough material or screen time; for better or worse, he ultimately left me wanting more. Chris Evans will become synonymous with Captain America after this film just as Robert Downey, Jr. was after Iron Man. He sells the dual nature of the character in a way that’s rare even in the comics. This time around, the time-lost super soldier icon doesn’t feel separate from the sensitive, naïve kid he used to be. 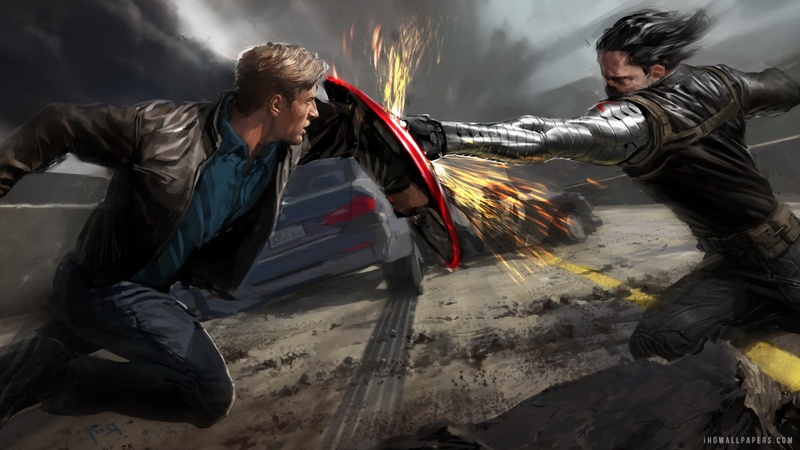 The Russo brothers scatter emotional gut punches throughout the film, adding layers to Captain America and his allies that weren’t there in previous films. Complex though he may be, Steve Rogers can still throw down. In The Winter Soldier, the fight choreography is such that Cap becomes a human hurricane just as Jack Kirby used to draw him. Over the years there have been plenty of superhero fights on film and television, but never like the ones here. This is the most violent film in the MCU. Marvel movie villains always fall into two categories: schemers and brutes. No Marvel villain, from Loki to the multiple “rich businessmen” from the Iron Man series, has ever made viewers outright gasp when they appeared onscreen. This is because we know what to expect with those antagonists. Contrast that reaction with the Winter Soldier, a villain who inspired “oohs” from the whole theater every time he showed up onscreen. The Russos made sure that the Winter Soldier wasn’t some “cool yet tragic” trope. Instead, he is portrayed exactly as hyped: an assassin feared by even S.H.I.E.L.D.’s best. The way he fights is different from the rest of the villains in the MCU. He always going for a kill shot, heightening the stakes for Captain America and S.H.I.E.L.D. When any character faces, they are no longer fighting to save the day. They are trying to escape him or survive his wrath. Compared to the Winter Soldier, the rest of the MCU rogues gallery just doesn’t seem as threatening, including the other villains in this movie. Viewers invested in the Marvel Cinematic Universe will have more than enough to chew on with The Winter Soldier. The world-building in this movie is immense; well-known Marvel characters not yet introduced to the cinematic universe are mentioned, call-backs to previous movies are littered all over the place, and the ramifications of this story will have fans speculating for months, if not years, to come. The Winter Soldier is the best Marvel movie since Iron Man. The Avengers may have been a superhero fan dream come true, but craftwise, The Winter Soldier tops it. Fantastic action scenes, a gripping story, strong character moments for previously underdeveloped characters, and enough emotional impact without cliché. And to top it all off, it’s a must-watch for those invested in the Marvel Cinematic Universe. Before the Marvel launched the MCU, I thought I’d never see a great Captain America movie – never mind two of them. But I was wrong. Times have changed.